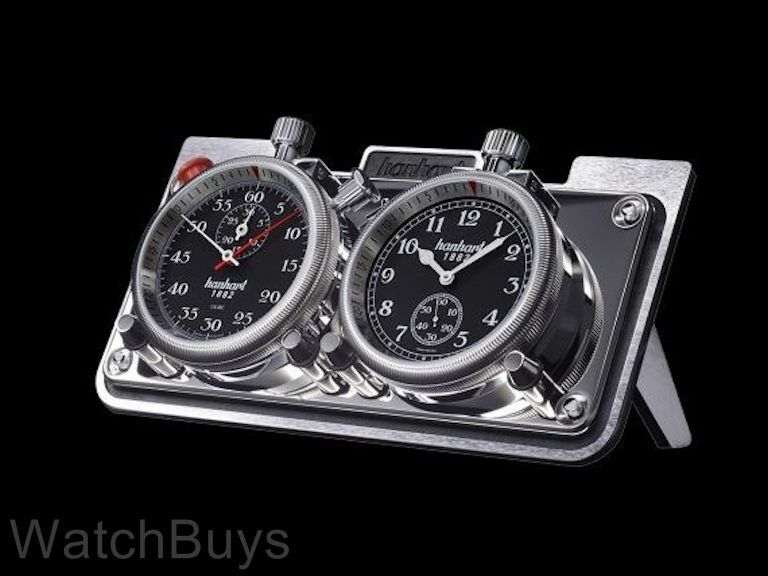 This is one of our favorite products from Hanhart, and illustrates the rich history of the company as a worldwide leader in the manufacture of mechanical timing devices. We'll start with the split seconds flyback chronograph - it features a Hanhart in-house movement made in Gutenbach, Germany. The Day Timer clock is manually wound with sub-seconds at 6. Both timing devices feature elaborate coin edge bezels with large winding stems and crowns. 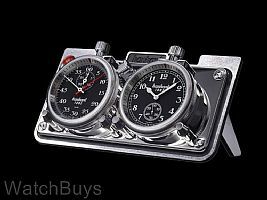 This is a highly collectible dashboard clock set that can be used with the included desk stand or dashboard mounted with the included dashboard plate.